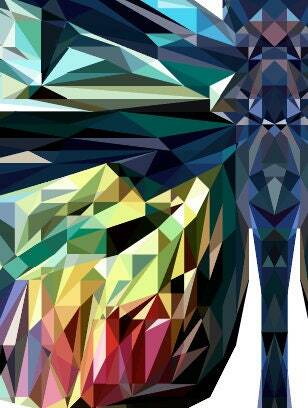 My Polygonal Designs are usually symmetrical. 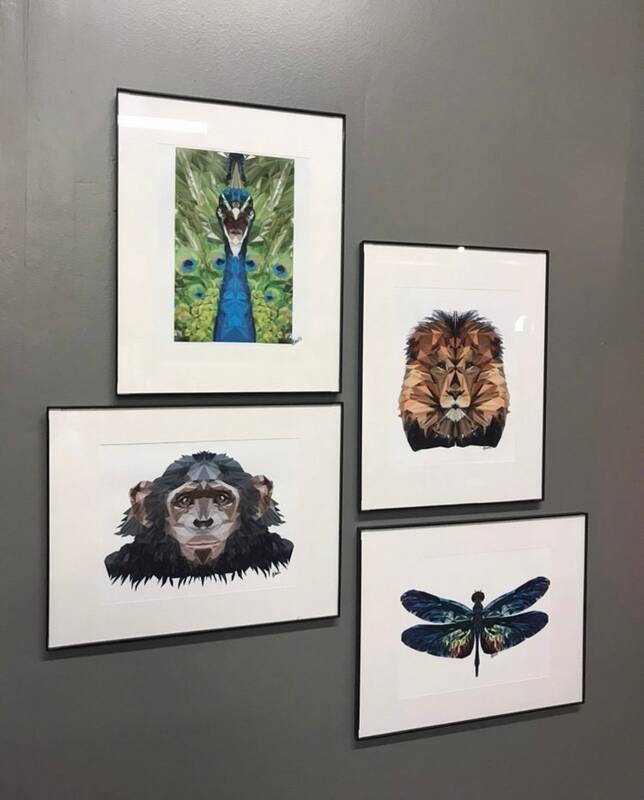 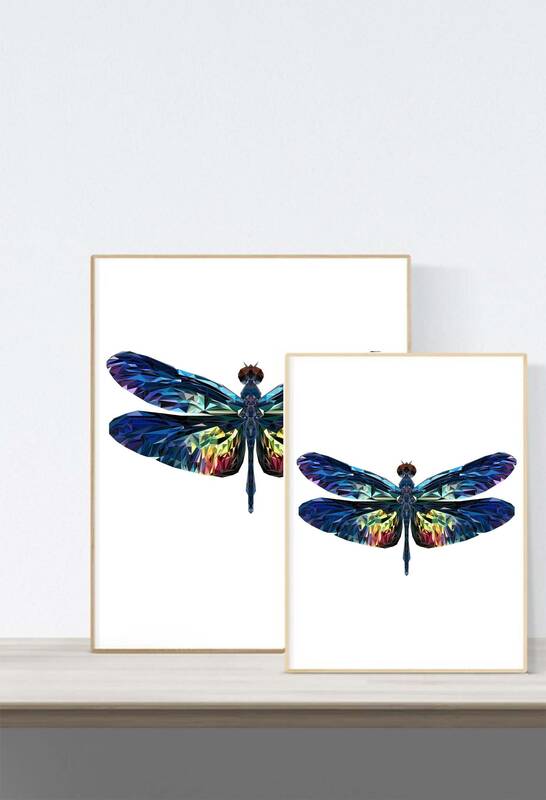 Created with hundreds of tiny 3-6 sided polygons, my creations are all original and most were created from my own photography. 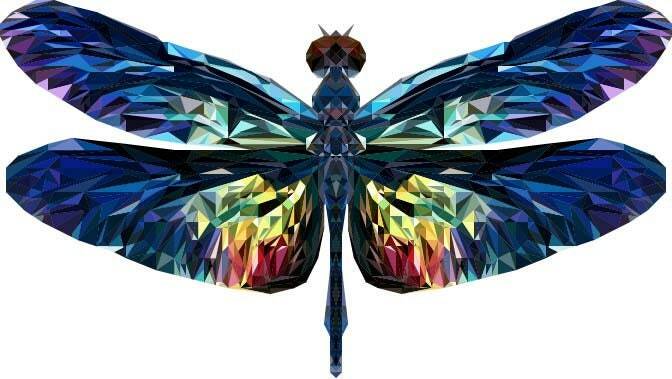 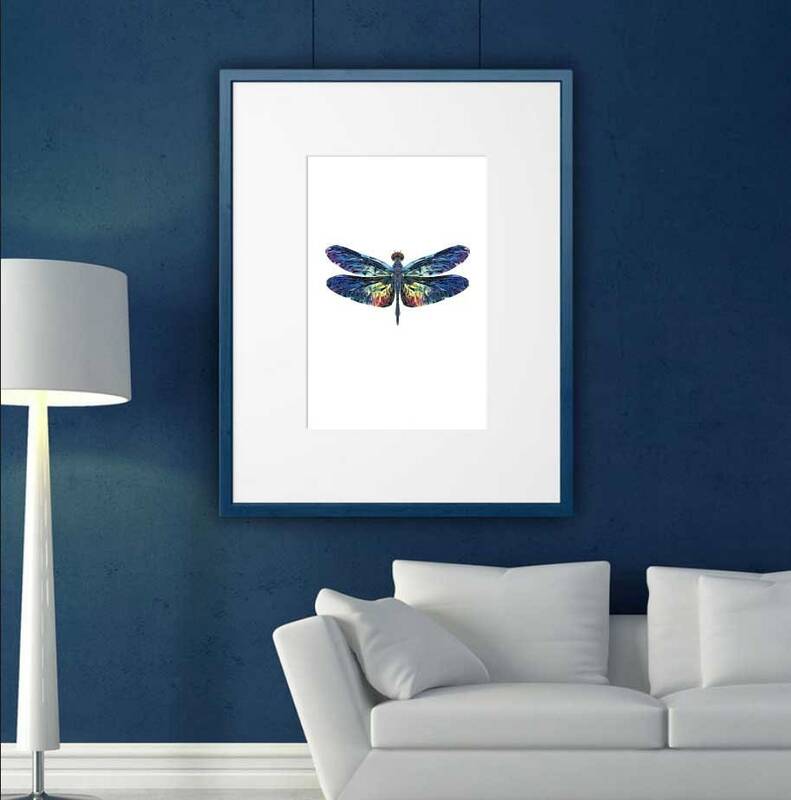 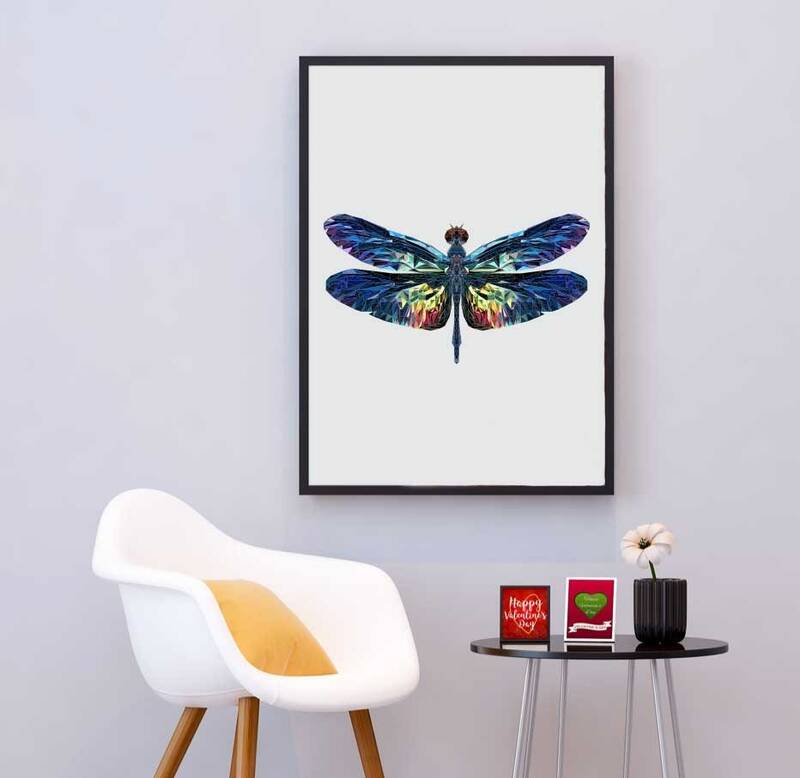 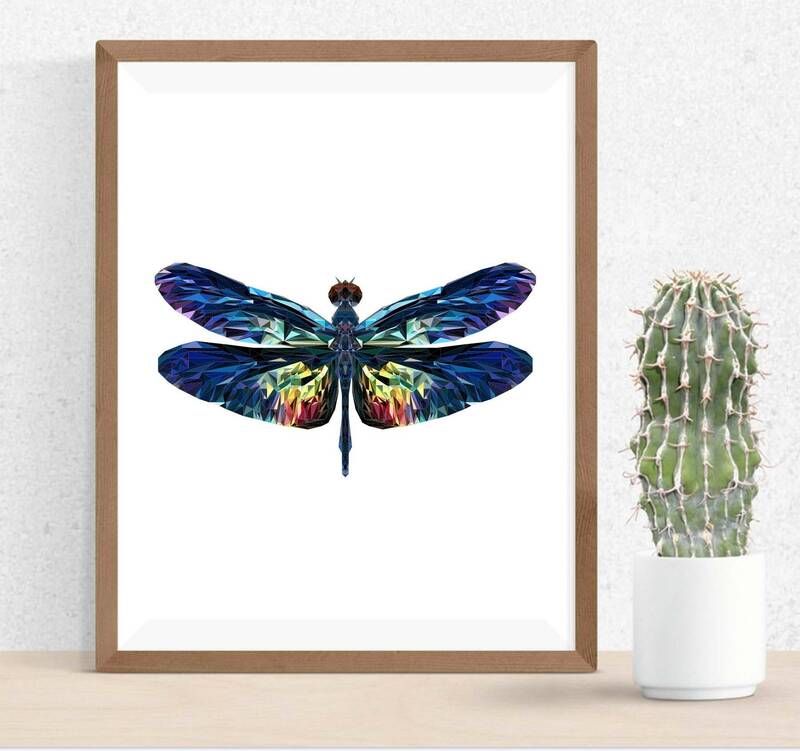 This vibrant, blue dragonfly will make a bold statement as the centerpiece of any room. 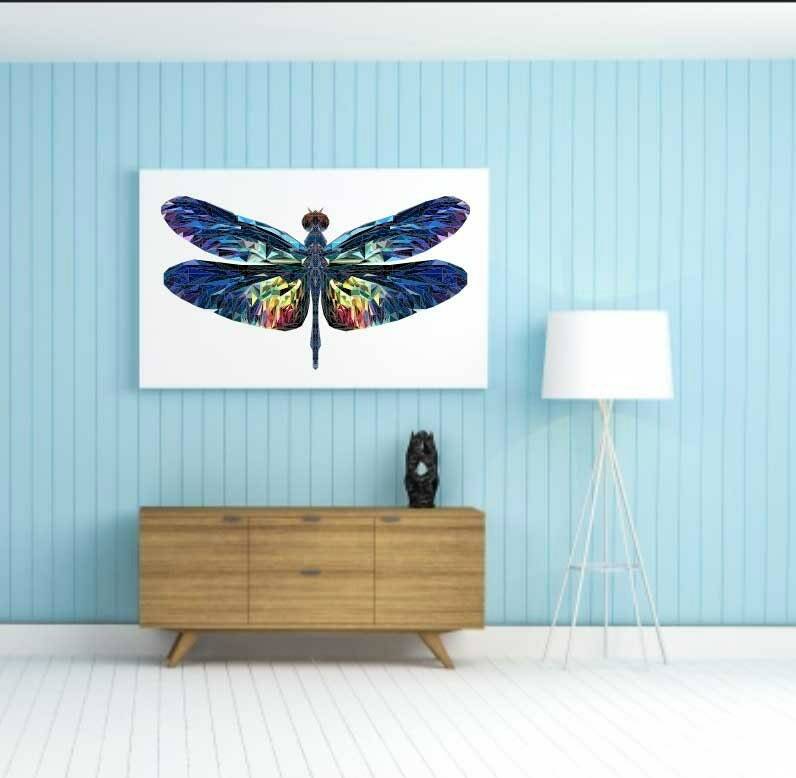 It will stand out on a dark painted surface as well as a light surface.